Close to half of Goya's 150 surviving portraits will come together at the National Gallery this autumn. Even during his own lifetime Francisco de Goya y Lucientes was seen as one of Spain's most celebrated artists, a supremely gifted painter who took the genre of portraiture to new heights. The exhibition shows the variety of media Goya used, from life-size paintings on canvas, to miniatures on copper and fine black and red chalk drawings. One of the stars of the show will undoubtedly be the iconic 'Duchess of Alba', showing Goya's close friend and patron dressed as a 'maja', which has only left the United States once and which has never travelled to Britain. 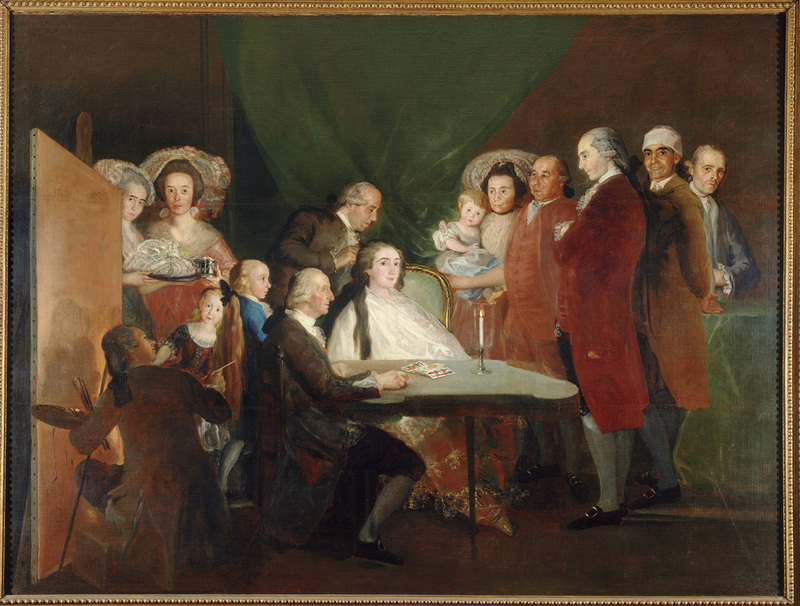 Other highlights include 'The Count of Floridablanca' and 'The Duke and Duchess of Osuna and their Children' - both key and influential patrons - and 'Mariano Goya', the last work Goya ever painted, of his only, beloved grandson. What are the best dining options near Goya: The Portraits London? Goya: The Portraits gyms, sporting activities, health & beauty and fitness. The best pubs near London Goya: The Portraits. Goya: The Portraits clubs, bars, cabaret nights, casinos and interesting nightlife. Where to have your meeting, conference, exhibition, private dining or training course near Goya: The Portraits. Louis-Leopold Boilly's playful, controversial and wry paintings inspired by the political turbulence in Paris during the era of the French Revolution, the rise and fall of Napoleon and the restoration of the French monarchy. New abstract paintings by the artist known for his admiration for colour, composition and power of painting, inspired by the National Gallery Collection and Joseph Mallord William Turner's 'The Evening Star'. From cheap budget hotels to luxury 5 star hotels see our special offers for National Gallery hotels, including Thistle Trafalgar Square, The Royal Trafalgar from 78% off.